Tuscany XTE by Thor Motor Coach is a motorhome made to fit RVer's expectations. The XTE offers a variety of different floor plans to fit your personal RV style. 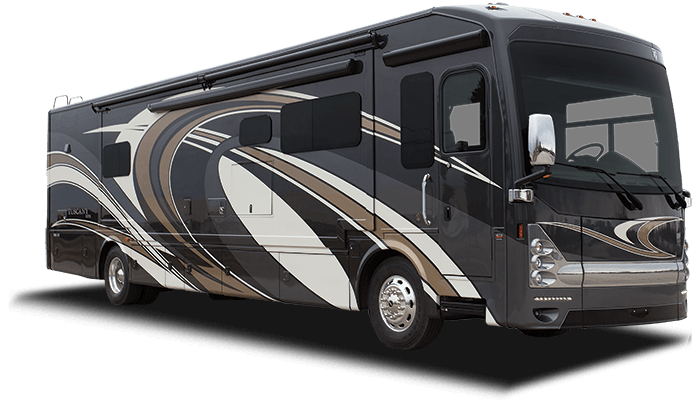 Key motorhome features of the XTE include Firefly multiplex wiring control system, USB charging stations on bedroom nightstands, a Cummins 6.7L ISB-XT diesel engine with 360HP and 800ftlbs of torque. Residential style bathroom and kitchen amenities make living in the Tuscany XTE a dream.